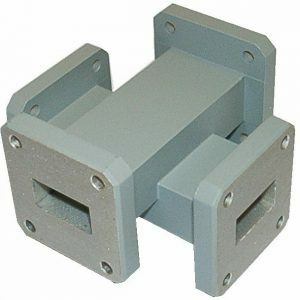 M.E.C.’s 90 Series cross-guide couplers have specially-designed coupling apertures that produce flat coupling over the full frequency band and are traditionally symmetrical, four-port devices, with either arm capable of being used as the main line. 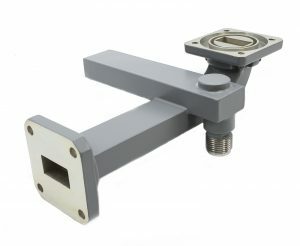 However, these units can be customized to include built-in terminations, integral coaxial adapters, and terminated dual secondary arms (dual-directional couplers). 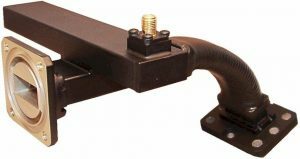 Additionally, these rugged, moderate-directivity couplers are ideal where the high-directivity of longer broad-wall multi-hole couplers (160 Series) is not required. 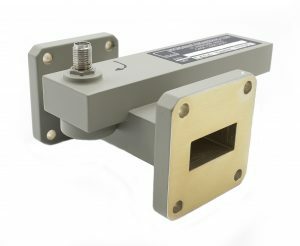 Due to their compact design and simple construction, these units have been accepted and used in a wide variety of microwave applications including, but not limited to, injection, reflection measurement, attenuation, and isolation. 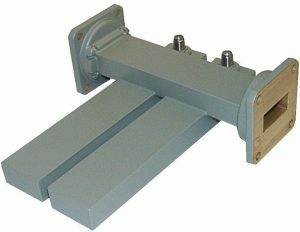 Assemblies are furnished in an aluminum housing, chromate conversion finished per MIL-C-5541, Class 3, and painted with gray epoxy enamel on external non-mating surfaces. 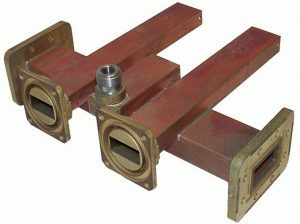 20 = ± 1.2 dB max. 30 = ± 1.0 dB max. 40 = ± 0.8 dB max. 50 = ± 0.6 dB max. Directivity: Typically 18 dB min. 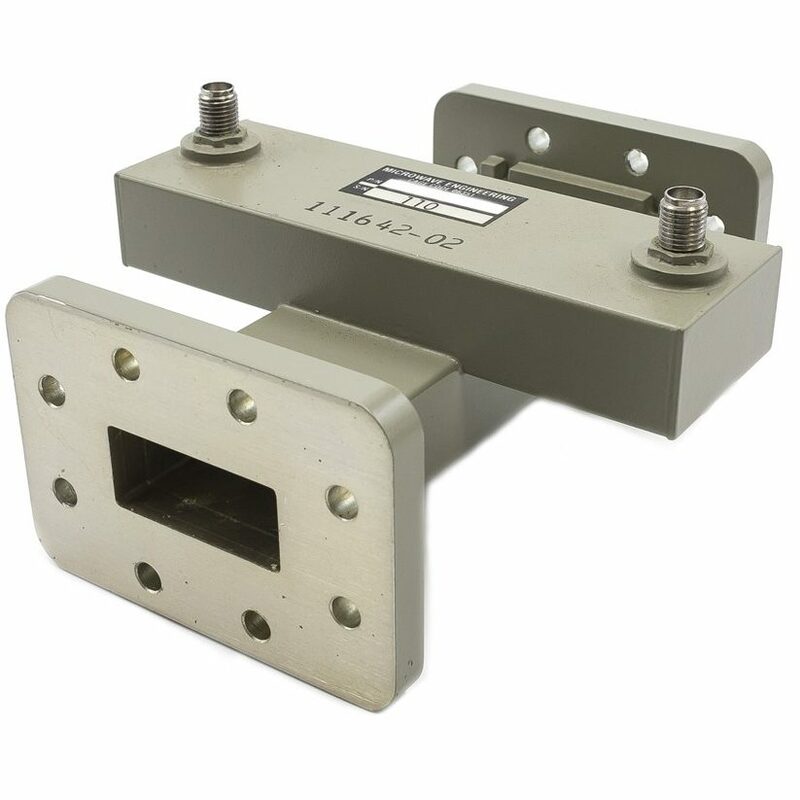 (2) Other flanges, coupling values, directions of coupling, multiple coupling arms, reduced height waveguide, and custom designs are available on request. All customer designs are welcome.